Heat oven to 350°F. In large bowl, break up cookie dough. Stir or knead in pecans, flour, pumpkin, cinnamon and vanilla until well blended. Shape dough into 48 (1-inch) balls. On ungreased cookie sheets, place balls 1 inch apart. Bake 10 to 13 minutes or until set but not brown. Remove from cookie sheets. Cool slightly on cooling rack. Roll warm cookies in powdered sugar; cool completely on cooling rack. 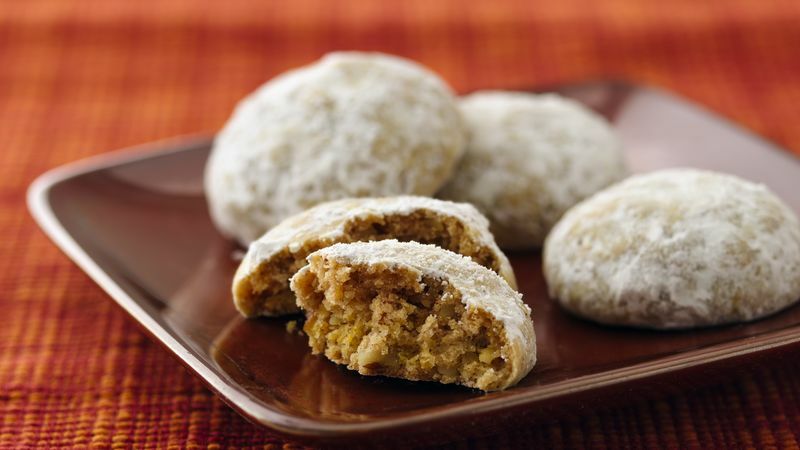 If desired, roll cookies in powdered sugar again.